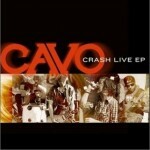 Cavo is an American hard rock band from St. Louis, Missouri. 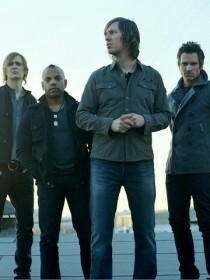 Because of their sound and musical influences, they are sometimes classified as post-grunge. In late 2000, guitarist Chris Hobbs, bassist Ryan Kemp, and drummer Chad La Roy were searching for a vocalist for their band. After some assistance from close friends Scott Gertken and Rich Criebaum of Modern Day Zero, the three decided to audition then-unknown singer Casey Walker. There was immediate chemistry, and Hollow came to be in March 2001. Later in 2001, Mike "Tomas" Tomasovich joined Hollow as a second guitarist. In 2001, Hollow released a three song demo with the songs "Fallen", "State of Mind" and "Unsung". 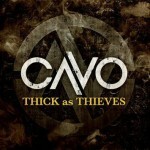 Near the end of 2001, the band also decided to change their name to Cavo, which happens to be a variation of Hollow in Latin. 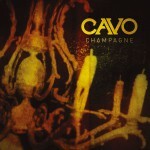 Cavo released their first EP, A Space to Fill, in 2002. The EP was produced by Scott Gertken and Rich Criebaum, recorded and mixed at their Trailer Studios in Foristell, Missouri, and released through their Bullet 339 Records. Cavo began to grow a loyal fan base while playing shows with Modern Day Zero. A Space to Fill spawned two singles that earned rotation on local radio stations in the St. Louis area. 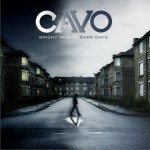 "Say Again" was picked up by WVRV and KNSX, and KPNT picked up the rock anthem "Unsung". 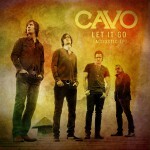 Cavo followed up the EP four years later with their self-released full length The Painful Art of Letting Go in September 2006. Walker invited Brian Smith to join the band in 2006 because they needed a new bass player to replace Ryan Kemp who was no longer in the band.